On Thursday, Salman Khan was declared guilty of killing endangered blackbucks 20 years ago and was sentenced to five years in jail, after which tweets and messages poured in from Bollywood celebrities. 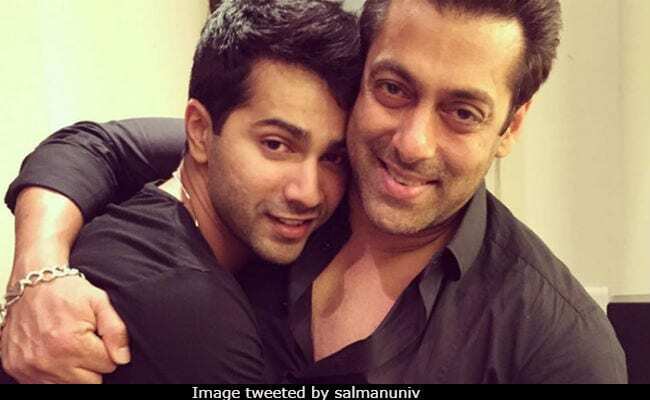 Varun Dhawan, who starred in the remake of Salman's Judwaa, tweeted to say: "I'm sure he will come out of this stronger." The first part of his tweet also read: "I know for a fact that Salman bhai and his family have the utmost respect and faith in our judiciary system. Salman Khan is one of the strongest and most genuine people I know." Other celebrities such as Arjun Rampal, filmmaker Subhash Ghai, Bigg Boss 10 winner Manveer Gurjar and other TV stars also tweeted to say: "Salman Khan is paying the price of being a celebrity." Mr Rampal, who was one of the first ones to tweet, wrote: "The law takes its course. Can't argue it. But at this point in time I just feel helpless and my heart goes out to Salman Khan and his family. Reason, cause the last thing Salman Khan is, is a criminal. I feel this is too harsh. I do hope he gets the relief he deserves." I know for a fact that Salman bhai and his family have the utmost respect and faith in our judiciary system. @BeingSalmanKhan is one of the strongest and most genuine people I know and I'm sure he will come out of this stronger. The law takes its course. Can't argue it. But at this point in time I just feel helpless and my heart goes out to @BeingSalmanKhan and his family. Reason, cause the last thing @BeingSalmanKhan is, is a criminal.I feel this is too harsh. I do hope he gets the relief he deserves. 5 years punishment in this case...? Of one thing I am dead sure..@BeingSalmanKhan would NEVER EVER harm any animal. He loves them too much. The real culprit should be exposed. 20 years is too long to bear someone else's cross..
How many tigers have been poached and what's the status of Justice on that. How many jungles have been cut down in the name of development, isn't it leading to wildlife killing. 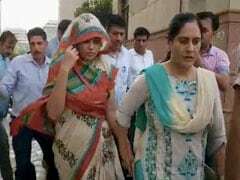 Speaking to news agency ANI, Jaya Bachchan said: "I feel bad. He should be given relief. He has done a lot of humanitarian work." Meanwhile on Thursday, a statement from Sajid Nadiadwala, who produced the blockbuster Baaghi 2, said that a party to celebrate the film's success has been cancelled and that Mr Nadiadwala was headed to Jodhpur. Sajid Nadiadwala and Salman Khan have collaborated for films like Mujhse Shaadi Karogi and Kick. After the judgement, Salman was taken to the Jodhpur Central Jail directly where he spent his first night as Qaidi (prisoner) No. 106. Salman was found guilty of killing blackbuck in Jodhpur while filming Hum Saath-Saath Hain in 1998. The other Hum Saath-Saath Hain co-stars of Salman - Tabu, Sonali Bendre, Saif Ali Khan and Neelam Kothari - who were also charged, were acquitted due to lack of evidence. The court will hear Salman Khan's bail request tomorrow.